Would you like to move into a new home for the Holidays? We have a home type for everyone. From our townhouses to our popular Morris home to single-family homes with attached garages, we would love to help you move into a new home for the holidays. 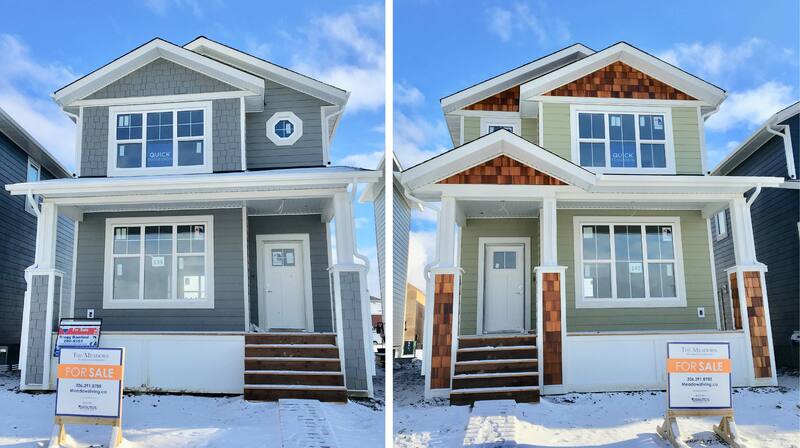 We have our last 2 Morris homes for you to choose from at 134 and 142 Greyeyes-Steele Way. Both homes include all your luxury finishes such as quartz countertops, wide plank laminate wood-grain floors, porcelain tile floors and Frigidaire stainless steel appliances. Choose from super durable Hardieboard fiber cement siding in Grey Slate or Heather Moss with cedar shakes, and kitchen cabinets in either contemporary white shaker or modern flat panel walnut. 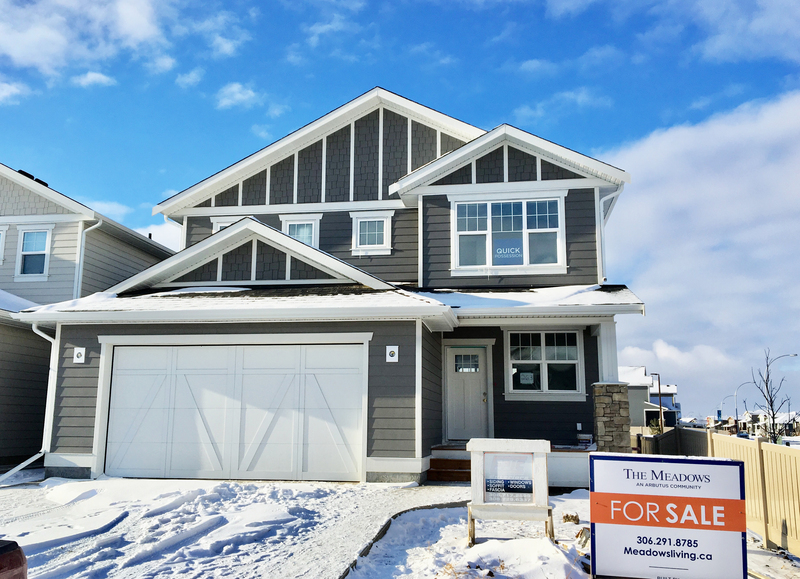 You will definitely want to see what makes this modified bi-level home different from the rest, with its overheight vaulted ceiling and open stairwell as soon as you enter. 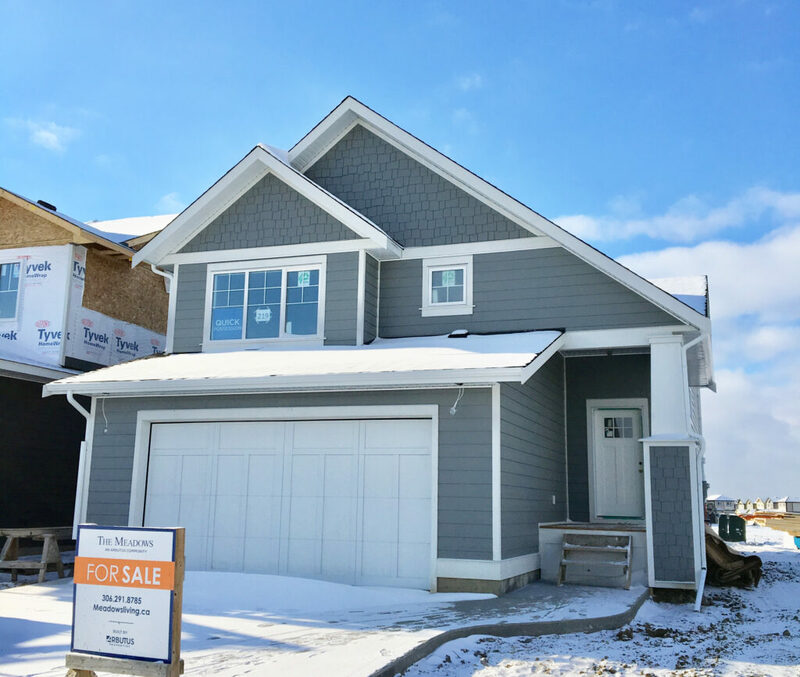 This Brady home model at 219 Greyeyes-Steele Way is just a few minutes walk from the new elementary schools and new Struthers Park. You will definitely want to move into a new home for the holidays and start entertaining when you see this house located on a corner lot and backing onto Struthers Park located at 263 Greyeyes-Steele Way. Not only will you be surrounded by greenspace, your luxurious master suite will also have the privacy of overlooking the park. The James home model was designed for entertaining and was our most popular custom-built home for clients this year. After some holiday shopping, you will appreciate the convenience of the Harvest townhomes with attached garages so you can comfortably unload in the comfort of your home. With three floorplans to choose from, you will have plenty of room for entertaining and overnight guests in these 3 or more bedroom homes. Prices start from $289,900 and appliances are included. We hope that you we can help you move into a new home and enjoy time with your family and friends over the holidays! For more information, please email or call us to schedule an appointment if you are unable to come visit during our Showhome hours. We would be happy to accommodate your schedule. Your Community. Your Home. Your Style.